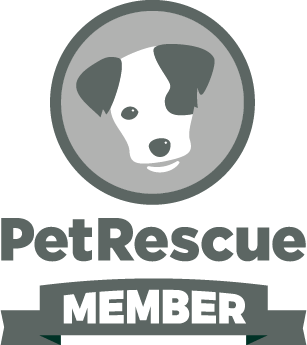 RSPCA Hobart has been a PetRescue member since 08 September 2010. Come in and meet the pet. Organise a meet and greet with other members of the family furred or otherwise. For Dog adoption: fill in an application form and supply photos and or have a yard inspection. Approval and then adoption paperwork. For Cat adoption: meet and greet and adoption paperwork. Thabela Brioso, or 'Bella' as she is known around us is a lovely looking mare with a beautiful presence about her. She is approximately 15.3hh, and has had two foals in the past. 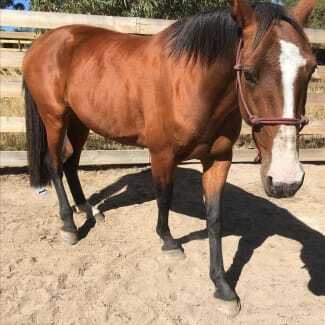 Thabela is a retired harness racing horse, she is not broken to saddle. She is easy to handle and gets along well with other horses. She is exceptionally well behaved, has good ground manners and is a dream to handle if she is in regular work. She is a very laid back mare, a typical standardbred trait. She would be easy enough to teach to be ridden for a professional, she is well used to having gear on, and easily takes the bit and bridle. All worming, trimming, vaccinations and dental work is up to date. Thabela will be microchipped prior to adoption. 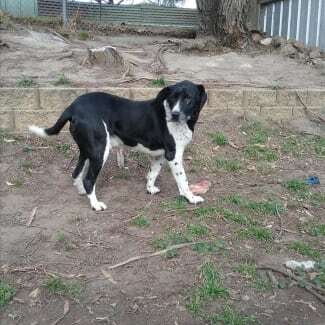 If you would like to know more or meet Thabela, please contact the Hobart Animal Care Centre. Buster is a energetic boy who would love to find a home of his own. He loves company, so someone who is home most of the time or a canine companion would be ideal. He gets very excited meeting new people and and dogs, and likes to express this vocally! If you would like a buddy to play fetch and run around in the yard with then Buster man may be your match! He is eagerly waiting at the HOBART Centre. NO SMALL ANIMALS- PLEASE. A little bit about me Kyser has been at the shelter way too long. He's now almost 4 years old and isn't coping well with the shelter environment. His cage presentation isn't great when you come to visit him as he is wary of some male visitors and sick of being behind wire so will jump and bark at you, but if you sit at his level and talk to him you will soon realise he is a big smooch. Kyser LOVES a cuddle and a scratch and although is quite strong on a lead he loves to get out about. He is quite easy to walk with a harness instead of a collar and lead. He is ok with some other dogs but probably shouldn't go home with cats. Unfortunately Kyser can 'bounce' quite high so can get over 6ft fences so needs a home with very high, secure fencing and an enclosed dog run where he can stay safe when you're not at home. Please share this and hopefully someone might give him a chance. My "Friend for live" colour is Orange Orange Adoption Requirements: Adoption Application form, yard/fencing inspection. To see me in action Dear Customer, please note a property check may be required before adoption to ensure the safety and welfare of our animals. Rental agreements allowing pets will be required for adoptions into rental properties.